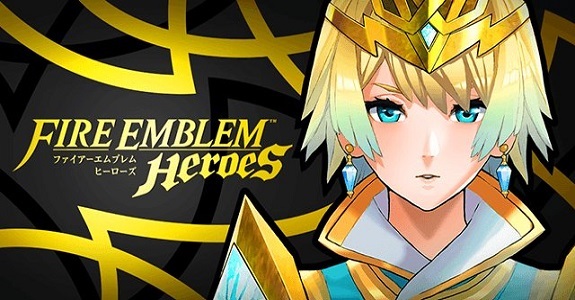 On this page, you will find the list of previous Summoning Focus and Summoning Events (including Legendary Hero Summoning Events) for Fire Emblem Heroes. That way, you can see which ones you may have missed and could look forward to in the future (since some of them do come back). We decided to have this page separate from the Characters one, since it’s already quite busy and listing all Summoning Focuses and Summoning Events that have ended would make it way too big. However, do keep in mind it’s not exhaustive: it was created on July 20th 2018, and so only lists Focuses and Events from that day onwards. For the most recent updates on the game, make sure to check out the Events and Content Updates and Characters pages! The Summoning Focuses and Summoning Events are listed in chronological order (from oldest to most recent). [5 ★ Focus] Tana, Noble and Nimble. Voiced by Joie Marlowe. Artist: cuboon. [5 ★ Focus] Xander, the Student Swimmer (from Fire Emblem Fates: Conquest). Voiced by George Spelvin. Artist: PenekoR. [5 ★ Focus] (Female) Robin, the Seaside Tactician. Voiced by Lauren Landa. Artist: Mayo. [5 ★ Focus] Frederick, the Horizon Watcher. Voiced by Kyle Hebert. Artist: Suekane Kumiko. [5 ★ Focus] Titania, the Mighty Mercenary (from Fire Emblem: Path of Radiance). Voiced by Misty Lee. Artist: Wada Sachiko. [5 ★ Focus] Elise, the Budding Flower (from Fire Emblem Fates: Conquest). Voiced by Ayaka Suwa / Live Strander. Artist: HAKO. [3 ★] Walhart, the Conqueror (from Fire Emblem Awakening): clear the map on Hard. [4 ★] Walhart, the Conqueror (from Fire Emblem Awakening): clear the map on Lunatic or Infernal. [5 ★ Focus] Rhajat, the Black Magician (from Fire Emblem Fates). [5 ★ Focus] Lucina, the Glorious Archer. Voiced by Alexis Tipton. Artist: Yamada Kotaro. Comes with a Wind Blessing. Legendary Effect: ??? [5 ★ Focus] Ishtar, the Thunder Goddess (from Fire Emblem: Genealogy of the Holy War). Voiced by Ratana. Artist: Suekane Kumiko. [5 ★ Focus] Ryoma, the Supreme Samurai. Voiced by Matt Mercer. Artist: Kita Senri. Comes with a Water Blessing. Legendary Effect: HP+3, Def+4. [5 ★ Focus] Olivia, the Sky-High Dancer (from Fire Emblem Awakening). Voiced by Karen Strassman. Artist: AKIRA. [5 ★ Focus] Camilla, the Tropical Beauty. Voiced by Misty Lee. Artist: Mikuro. [3 ★] Takumi, the Empty Vessel: clear the map on Hard. [4 ★] Takumi, the Empty Vessel: clear the map on Lunatic or Infernal. [3 ★] Takumi, the Empty Vessel: defeat Takumi: Empty Vessel at level 40 or higher with Fjorm. [5 ★ Focus] (Male) Robin, the Fell Reincarnation. Voiced by David Vincent. Artist: Okuma Yugo. [5 ★ Focus] Reinhardt, the Thunder’s Fist (from Fire Emblem: Thracia 776). Voiced by Kentarou Tone / Chris Smith. Artist: cuboon. [5 ★ Focus] Bartre, the Fearless Warrior (from Fire Emblem). [5 ★ Focus] Nino, the Pious Mage (from Fire Emblem). Voiced by Kana Yuuki / Sarah Blandy. Artist: Amagaitaro. [5 ★ Focus] Leo, the Sorcerous Prince (from Fire Emblem Fates: Conquest). [5 ★ Focus] Minerva, the Red Dragoon (from Fire Emblem: Shadow Dragon and the Blade of Light / Shadow Dragon). [5 ★ Focus] Tharja, the Dark Shadow (from Fire Emblem Awakening). Voiced by Yuuki Takada / Stephanie Sheh. Artist: ZIS. [5 ★ Focus] Raven, the Peerless Fighter (from Fire Emblem). [5 ★ Focus] Hawkeye, the Desert Guardian (from Fire Emblem). [5 ★ Focus] Shanna, the Sprightly Flier (from Fire Emblem: The Binding Blade). [5 ★ Focus] Hinoka, the Warrior Princess (from Fire Emblem Fates: Birthright). Voiced by Kaori Nazuka / Cindy Robinson. Artist: HACCAN. [5 ★ Focus] Elincia, the Lost Princess (from Fire Emblem: Path of Radiance). Voiced by Amanda Miller. Artist: Kippy. [5 ★ Focus] Sonya, the Vengeful Mage (from Fire Emblem Echoes: Shadows of Valentia). Voiced by Tara Sands. Artist: Yura. [5 ★ Focus] Lyn, the Lady of the Plains (from Fire Emblem). Voiced by Wendee Lee / Makiko Omoto. Artist: Yamada Kotaro. [3 ★] Wrys, the Kindly Priest (from Fire Emblem: Shadow Dragon and the Blade of Light / Shadow Dragon): Defeat 5 foes with Robin, the High Deliverer. This Summoning Focus can only be used once, but you’re free to choose whichever Hero you want! [5 ★ Focus] [5 ★] Ike, the Bave Mercenary (from Fire Emblem: Path of Radiance). Voiced by Greg Chun. Artist: Kita Senri. [5 ★] Joshua, the Tempest King (from Fire Emblem: The Sacred Stones): get at least 20 000 points during the event. [5 ★ Focus] Kana, the Dragon Princess (from Fire Emblem Fates). Voiced by Claudia Lenz. Artist: Miwabe Sakura. [5 ★ Focus] Sanaki, Begnion’s Apostle (from Fire Emblem: Radiant Dawn). Voiced by Mai Nakahara / Erin Fitzgerald. Artist: Tomioka Jiro. [5 ★ Focus] Gunnthrá, the Voice of Dreams (original character). Voiced by Carrie Keranen. Artist: Maeshima Shigeki. Comes with a Wind Blessing. Legendary Effect: HP+3, Res+4. [5 ★ Focus] Lene, the Yearning Dancer (from Fire Emblem: Genealogy of the Holy War). Voiced by Faye Mata. Artist: Yoshiku. [5 ★ Focus] Olwen, the Righteous Knight (from Fire Emblem: Thracia 776). Voiced by Tara Sands. Artist: cuboon. [5 ★ Focus] Micaiah, Summer’s Dawn. Voiced by Veronica Taylor. Artist: Chiko. [5 ★ Focus] Lyn, the Brave Lady (from Fire Emblem). Artist: Yamada Kotaro. [4 ★] Jamke, Prince of Verdane (from Fire Emblem: Genealogy of the Holy War). Clear the map on Lunatic or Infernal. [5 ★ Focus] Hector, Brave Warrior (from Fire Emblem).Voiced by Patrick Seitz. Artist: Kita Senri. [5 ★] Myrrh, the Great Dragon (from Fire Emblem: The Sacred Stones). Voiced by Erica Lindbeck. Artist: Amagaitaro. [5 ★ Focus] Lewyn, Guiding Breeze (from Fire Emblem: Genealogy of the Holy War). Voiced by Steve Staley. Artist: Suda Ayaka. [5 ★ Focus] Deirdre, the Lady of the Forest (from Fire Emblem: Genealogy of the Holy War). Voiced by Erica Mendez. Artist: Haimura Kiyotaka. [5 ★ Focus] Odin, the Potent Force (from Fire Emblem Awakening). [4 ★] Garon, King of Nohr (from Fire Emblem Fates: Conquest). Clear the map on Lunatic or Infernal. [4 ★] Saias, the Bishop of Flame (from Fire Emblem: Thracia 776). Clear the map on Lunatic or Infernal. [5 ★ Focus] Maribelle, the Dire Damsel (from Fire Emblem Awakening). Voiced by Melissa Fahn. Artist: Kousei Horiguchi. [5 ★ Focus] Nino, the Pale Flower (from Fire Emblem). Voiced by Sarah Blandy. Artist: Amagaitaro. [5 ★ Focus] Niles, Cruel to Be Kind (from Fire Emblem Fates: Conquest). [5 ★ Focus] Julia, Naga’s Blood (from Fire Emblem: Genealogy of the Holy War). Voiced by Ayane Sakura / Cassandra Lee Morris. Artist: Haimura Kiyotaka. [5 ★ Focus] Flora, Cold as Ice (from Fire Emblem Fates: Conquest). Voiced by Julie Ann Taylor. Artist: HAKO. [5 ★ Focus] Reinhardt, the Thunder’s Sword (from Fire Emblem: Thracia 776). Voiced by Chris Smith. Artist: cuboon. [4 ★] Kana, the Dragon Spawn (from Fire Emblem Fates): clear the map on Lunatic or Infernal. [5 ★ Focus] Olivia, the Festival Dancer. Voiced by Karen Strassman. Artist: Chiko. [3 ★] Clarine, the Refined Noble (from Fire Emblem: The Binding Blade): defeat 5 foes using Odin: Potent Force. [5 ★ Focus] Laegjarn, Sheathed Steel (from Fire Emblem Heroes). Voiced by Alicia Stratten. Artist: Maeshima Shigeki. [5 ★ Focus] Myrrh, the Great Dragon (from Fire Emblem: The Sacred Stones). Voiced by Erica Lindbeck. Artist: Amagaitaro. [5 ★] Dorcas, Pumpkin Smasher. Get at least 15 000 points during the event. [5 ★ Focus] Innes, the Regal Strategician (from Fire Emblem: The Sacred Stones). Voiced by Xander Mobus. Artist: Teita. [4 ★] Aversa: Dark One (from Fire Emblem Awakening). Clear the map on Lunatic or Infernal. [5 ★ Focus] Kaze, the Easygoing Ninja (from Fire Emblem Fates). [5 ★ Focus] Sumia, the Maid of Flowers (from Fire Emblem Awakening). Artist: pikomaro. [5 ★ Focus] Delthea the Free Spirit (from Fire Emblem Echoes: Shadows of Valentia). Voiced by Christine Marie Cabanos. Artist: Miwabe Sakura. [5 ★ Focus] Linde, the Light Mage (from Fire Emblem: Shadow Dragon and the Blade of Light / Shadow Dragon). Voiced by Asami Seto / Julie Ann Taylor. Artist: Kippu. [5 ★ Focus] Myrrh, Spooky Monster. Voiced by Erica Lindbeck. Artist: Amagatairo. [5 ★ Focus] Owain, Chosen One (from Fire Emblem Awakening). Voiced by Kaiji Tang. Artist: Suekane Kumiko. [5 ★ Focus] Micaiah, the Priestess of Dawn (from Fire Emblem: Radiant Dawn). Voiced by Veronica Taylor. Artist: Chiko. [4 ★] Hinata, the Wild Samurai (from Fire Emblem Fates: Birthright). Available until October 23rd. [4 ★] Berkut, the Prideful Prince (from Fire Emblem Echoes: Shadows of Valentia). Available until November 1st. [4 ★] Marisa, the Crimson Flash (from Fire Emblem: The Sacred Stones). Voiced by Connor Kelley. Artist: Fujikawa Akira. Available until November 6th. [4 ★] Oliver: the Admirer of Beauty (from Fire Emblem: Radiant Dawn). Available until November 15th. [5 ★ Focus] Sakura, the Gentle Nekomata. Voiced by Brianna Knickerbocker. Artist: Fuzichoco. [4 ★] Julius, the Scion of Darkness (from Fire Emblem: Genealogy of the Holy War): clear the map on Lunatic or Infernal. [5 ★ Focus] Camilla, Flower of Fantasy (from Fire Emblem Fates). Voiced by Misty Lee. Artist: Mikuro. [5 ★] Azura, Young Songtress (from Fire Emblem Fates): get at least 15 000 points during the event. [5 ★ Focus] Hinoka, the Blue Sky Warrior (from Fire Emblem Fates). Voiced by Cindy Robinson. Artist: Chiko. [4 ★] Gharnef, Dark Pontifex (from Fire Emblem: Shadow Dragon): clear the map on Lunatic or Infernal. [5 ★ Focus] Hríd: Icy Blade (original character). Voiced by Mark P. Whitten. Artist: Maeshima Shigeki. Comes with a Wind Blessing. Legendary Effect: HP+3, ??? [5 ★ Focus] Laevatein, Searing Steel (from Fire Emblem Heroes). Voiced by Sarah Williams. Artist: Maeshima Shigeki. [5 ★ Focus] Helbindi, Savage Scourge (from Fire Emblem Heroes). Voiced by Raymond K. Essel. Artist: Maeshima Shigeki. [5 ★ Focus] Surtr, Ruler of Flames (original character). Voiced by ???. Artist: Maeshima Shigeki. [5 ★] Lewyn, Guiding Breeze (from Fire Emblem: Genealogy of the Holy War). Voiced by Steve Staley. Artist: Suda Ayaka. [3 ★] Azama, the Carefree Monk (from Fire Emblem Fates: Birthright): defeat 5 foes with Azam (Carefree Monk). [5 ★ Focus] Soren, the Shrewd Strategist (from Fire Emblem: Path of Radiance). Voiced by Kyle McCarley. Artist: Miyajima Haru. [5 ★ Focus] Catria, the Spring Whitewing. Voiced by Connor Kelley. Artist: Amagaitaro. [4 ★] Linus, the Mad Dog (from Fire Emblem): clear the map on Lunatic or Infernal. You can also get this Hero at 3 ★ by clearing the following Quest: Defeat Linus: Mad Dog at level 40 or higher with Linus: Mad Dog. [5 ★] Cecilia: Festive Instructor. Get at least 15 000 points during the event. [4 ★] Cecilia: Festive Instructor. Get at least 1 000 points during the event. [5 ★ Focus] Eir: Merciful Death (original character). Mythic Effect: Light. Bonus: HP+5, Res+5. You can get her via Summoning, but also by completing Chapter 1 of Book III of the main story. [4 ★] Laegjarn: New Experiences. Get at least 1 000 points during the event. [5 ★ Focus] Roy, the Young Lion (from Fire Emblem: The Binding Blade). Voiced by Ray Chase. Artist: BUNBUN. [5 ★ Focus] L’Arachel, Princess of Light (from Fire Emblem: The Sacred Stones). Voiced by Carrie Keranen. Artist: Konfuzi Kokon. [5 ★ Focus] Fae, Holiday Dear. Voiced by Sarah Blandy. Artist: Himukai Yuji. [5 ★ Focus] Ephraim, Sparkling Gallantly. Voiced by Greg Chun. Artist: Asatani Tomoyo. [5 ★ Focus] Eirika, Gentle as Snow. Voiced by Kira Buckland. Artist: Asatani Tomoyo. [5 ★ Focus] Lissa, the Pure Joy. Voiced by Kate Davis. Artist: Umiu Geso. [3 ★] Naesala: Sky’s Shadow (from Fire Emblem: Radiant Dawn). Clear the map Hard. [5 ★] Lene, the Yearning Dancer (from Fire Emblem: Genealogy of the Holy War). Voiced by Faye Mata. Artist: Yoshiku. [3 ★] Chrom, the Exalted Prince (from Fire Emblem Awakening): defeat 5 foes using Roy (Young Lion). [5 ★ Focus] Nailah, Unflinching Eye (from Fire Emblem: Radiant Dawn). Voiced by Rachel Robinson. Artist: PenekoR. [5 ★ Focus] Gunnthrá: Year’s First Dream. Voiced by Carrie Kerenan. Artist: Yoshiku. [5 ★ Focus] Takumi, the Prince of Soup. Voiced by Michael Sinterniklaas. Artist: Tobi. [5 ★] Laevatein: Kumade Warrior. Voiced by Sarah Williams. Artist: kawasumi. [5 ★] Camilla, Steamy Secrets (from Fire Emblem Fates: Conquest). Get at least 15 000 points during the event. [5 ★ Focus] Takumi, the Wild Card (from Fire Emblem Fates: Birthright). Voiced by Michael Sinterniklaas. Artist: Hino Shinnosuke. [5 ★ Focus] Mikoto, Caring Mother (from Fire Emblem Fates). Voiced by Marisha Ray. Artist: Ito Misei. [5 ★ Focus] Corrin, Dream Prince (from Fire Emblem Fates). Voiced by Cam Clarke. Artist: Maiponpon. [5 ★ Focus] Tiki: Legendary Dragon. Voiced by Mela Lee. Artist: Enkyo Yuichiro. Comes with an Earth Blessing. Legendary Effect: HP+3, Def+4. [5 ★ Focus] Eirika, Graceful Resolve. Voiced by Kira Buckland. Artist: Asatani Tomoyo. Comes with a Water Blessing. Legendary Effect: HP+3, Atk+2. [4 ★] Lloyd, the White Wolf (from Fire Emblem). Win the Grand Hero Battle against Lloyd, the White Wolf using an all-flier team. [4 ★] Michalis, the Ambitious King (from Fire Emblem: Shadow Dragon and the Blade of Light / Shadow Dragon). Win the Grand Hero Battle against Michalis, the Ambitious King using an all-cavalry team. [4 ★] Xander, the Paragon Knight (from Fire Emblem Fates: Conquest). Win the Grand Hero Battle against Xander, the Paragon Knight using an all-armoured team. [4 ★] Narcian, the Wyvern General (from Fire Emblem: The Binding Blade). Win the Grand Hero Battle against Narcian, the Wyvern General using an all-infantry team. [4 ★] Navarre, the Scarlet Sword (from Fire Emblem: Shadow Dragon and the Blade of Light / Shadow Dragon). Win the Grand Hero Battle against Navarre, the Scarlet Sword using an all-flier team. [4 ★] Robin, the Mystery Tactician (from Fire Emblem Awakening). Win the Grand Hero Battle against Roin, the Mystery Tactician using an all-cavalry team. [4 ★] Ursula, the Blue Crow (from Fire Emblem). Win the Grand Hero Battle against Ursula, the Blue Crow using an all-armoured team. [5 ★ Focus] Nina, Eye Spy (from Fire Emblem Fates: Conquest). Voiced by Liv Strander. Artist: Mikuro. [5 ★ Focus] Palla, the Eldest Whitewing (from Fire Emblem: Shadow Dragon and the Blade of Light / Shadow Dragon). [5 ★ Focus] Lukas, the Sharp Soldier (from Fire Emblem Echoes: Shadows of Valentia). Voiced by Greg Chun. Artist: cuboon. [5 ★ Focus] Serra, the Outspoken Cleric (from Fire Emblem). [5 ★ Focus] Eirika, the Restoration Lady (from Fire Emblem: The Sacred Stones). Voiced by Kaori Mizuhashi / Kura Buckland. Artist: Asatani Tomoyo. [5 ★ Focus] Sakura, the Loving Priestess (from Fire Emblem Fates: Birthright). Voiced by Hisako Kanemoto / Brianna Knickerbocker. Artist by Fuzichoco. [5 ★ Focus] Xander, the Dancing Knight. Voiced by George Spelvin. Artist: PenekoR. [5 ★ Focus] Tiki, Naga’s Voice (from from Fire Emblem: Shadow Dragon and the Blade of Light / Shadow Dragon). [5 ★ Focus] Oscar, the Agile Horseman (from Fire Emblem: Path of Radiance). Voiced by Bryce Papenbrook. Artist: Ichiiro Hako. [5 ★] Titania: Warm Knight (from Fire Emblem: Path of Radiance). Get at least 15 000 points during the event. [5 ★ Focus] Hinoka, Relaxed Warrior (from Fire Emblem Fates: Birthright). Voiced by Cindy Robinson. Artist: Foo Midori. NB: those are two separate Summoning Focus. [5 ★ Focus] Eliwood, the Knight of Lycia (from Fire Emblem). Voiced by Takahiro Sakurai / Yuri Lowenthal. Artist: Miyuu. [4 ★] Jamke, Prince of Verdane (from Fire Emblem: Genealogy of the Holy War): clear the map on Lunatic or Infernal. [5 ★ Focus] Lyn, the Lady of the Wind. Voiced by Wendee Lee. Artist: Wada Sachiko. Comes with a Wind Blessing. Legendary Effect: HP+3, Atk+2. [5 ★ Focus] Ophelia, Dramatic Heroine (from Fire Emblem Fates: Conquest). Voiced by Angela Marie Volpe. Artist: Umiu Geso. [4 ★] Panne, Proud Taguel (from Fire Emblem Awakening). Clear the map on Lunatic or Infernal. [5 ★ Focus] Gunnthrá, Voice of Dreams (original character). Voiced by Carrie Keranen. Artist: Maeshima Shigeki. Comes with a Wind Blessing. Legendary Effect: HP+3, Res+4. [5 ★ Focus] Innes, Regal Strategician (from Fire Emblem: The Sacred Stones). Voiced by Xander Mobus. Artist: Teita. [5 ★ Focus] Selkie, Free Spirit (from Fire Emblem Fates: Birthright). Voiced by Lexi Klein. Artist: Enkyo Yuichiro. [5 ★ Focus] Roy, the Youthful Gifts. Voiced by Ray Chase. Artist: BUNBUN. [5 ★ Focus] Faye, Devoted Heart (from Fire Emblem Echoes: Shadows of Valentia). Voiced by Amber Connor. Artist: Konfuzi Kokon. [4 ★] Rutger, Lone Swordsman (from Fire Emblem: The Binding Blade): clear the map on Lunatic or Infernal. [5 ★ Focus] Sonya, Vengeful Mage (from Fire Emblem Echoes: Shadows of Valentia). Voiced by Tara Sands. Artist: Yura. [4 ★] Loki, Spring Trickster – Get at least 1 000 points during the event. [5 ★] Loki, Spring Trickster – Get at least 15 000 points during the event. [5 ★ Focus] Karla, Sword Vassal (from Fire Emblem). Voiced by Allegra Clarke. Artist: Kita Senri. [5 ★ Focus] Hinoka, Blue Sky Warrior (from Fire Emblem Fates). Voiced by Cindy Robinson. Artist: Chiko. [5 ★ Focus] Azura, Vallite Songstress (from Fire Emblem Fates). Voiced by Rena Strober. Artist: kaya8. Comes with a Water Blessing. Legendary Effect: HP+3, Res+4. [5 ★ Focus] (Male) Robin, Fell Reincarnation. Voiced by David Vincent. Artist: Okuma Yugo. [5 ★ Focus] Idunn, Dark Priestess (from Fire Emblem: The Binding Blade). Artist: Yamada Kotaro. [4 ★] Camus, the Sable Knight (from Fire Emblem: Shadow Dragon and the Blade of Light / Shadow Dragon): win the Grand Hero Battle against Camus: Sable Knight on Lunatic or higher using only Heroes that have the Wind Blessing conferred on them or wind-type Legendary Heroes. [4 ★] Garon, King of Nohr (from Fire Emblem Fates: Conquest): clear the map on Lunatic or Infernal. [5 ★ Focus] Ishtar, Thunder Goddess (from Fire Emblem: Genealogy of the Holy War). Voiced by Ratana. Artist: Suekane Kumiko. [5 ★ Focus] Loki, The Trickster (from Fire Emblem Heroes). Voiced by Erika Ishii. Artist: Maeshima Shigeki. [4 ★] Haar, Black Tempest (from Fire Emblem: Radiant Dawn): clear the map on Lunatic or Infernal. [5 ★] Veronica, Spring Princess. Voiced by Wendee Lee. Artist: Umiu Geso. [5 ★ Focus] Kagero, Spring Ninja. Voiced by Sarah Blandy. Artist: cuboon.